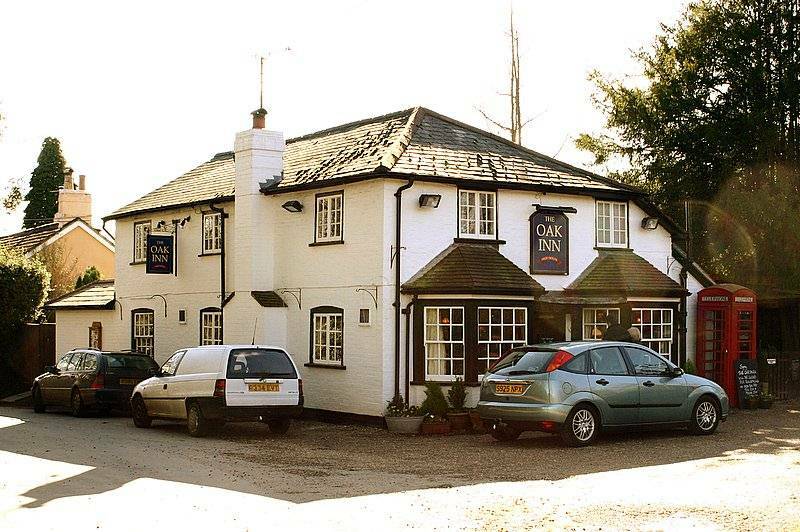 This is a wonderful country pub in the heart of the New Forest - just off the main road. You cant miss it as there is still an old-fashioned red phone box outside - not in use. 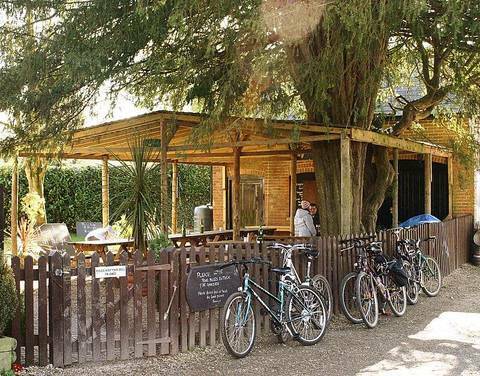 There is parking outside, though it is not enough for this popular pub at the weekends and people end up parking all over the grass which detracts from the beauty of the pub and its setting. Once inside the bar (water jugs delimiting it) is in front of the door as the size is deceptive. There is seating to the both sides at the front by the windows - these are shaded. Seating is at a mixture of tables and chairs on a bare floor. The low ceiling and beams play havoc with tall visitors. Also watch out for the spears or you might get more than you bargained for. 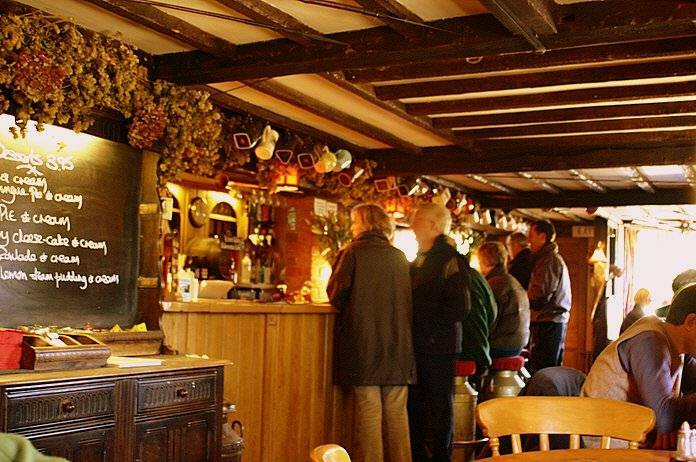 The rest of the pub moves towards the back on the left side with seating, fireplace for winter and chalkboards detailing food. The toilets are also down here but are not suitable for the disabled. The long bar serves country/fruit wines and the beer is taken from dispense at the back of the bar through fake barrels. Usually four ales on including two regulars - Summer Lightening and Ringwood Bitter. Food is served here at lunchtimes and evenings and is it advisable to get there early to avoid having to wait for a table - book for the evening. The food is priced as a restaurant, but is well cooked and there are a variety of choices (not a lot for vegetarians). Service is quick even at busy times. They hold a beer festival here in the first week of July - up to 40 ales. Please do not use your mobile phone here - have mercy. Accommodation here, but not seen on this occasion. Well worth seeking out. Dartboard available.